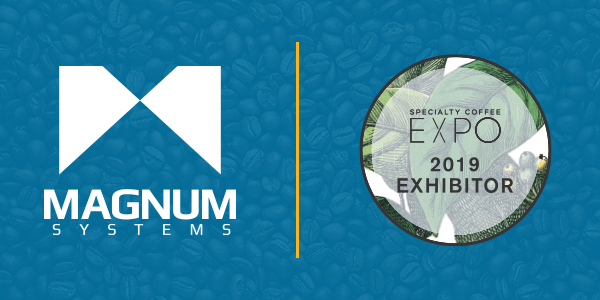 This weekend we will make our way to Boston, MA for the Specialty Coffee Expo 2019, Friday April 12th to Sunday April 14th. We are looking forward to meeting new faces, re-making old acquaintances and discussing packaging & conveying equipment needs. Magnum Systems has a long history in providing quality solutions to the coffee industry. We have worked with some of the biggest brands in coffee, such as: Folgers, Hills Brothers, Maxwell House, Green Mountain/Keurig and more. We have provided dilute phase pneumatic conveying systems, bulk bag filling & unloading systems and rotary airlock valves. We have also worked with hundreds of specialty coffee producers and artisans that are looking to take that first step in automating their production line. If you are tired of your manual/hand bagging operation, Magnum Systems has the perfect solution to keep your line moving. Featured in our booth (#255) will be the Model TE-10C packer. Stop by and check out its simple design, which incorporates tool-less disassembly for ease of cleaning. With the flexibility to switch between feeding whole beans, ground coffee or loose tea, it easily adjusts the target fill weights and settings. Optional features include: hopper extension with vacuum fill, quick change spouts, foot pedal controls, mobile frame with casters and more. With over 1,000 units installed our TE-10 Series net-weigh fillers are the industry standard. We know how to handle valuable products efficiently while delivering an accurate weighment into each and every bag you fill.